There are a lot of moving parts to any successful marketing campaign from creating content, optimising and publishing the content, employing a continuous promotional strategy and, of course, monitoring the response and results. And when it comes to sales, your leads need regular contact and nurturing to make sure they’re moving along your sales pipeline and getting the help and attention they need. However, navigating your way through this multi-layered marketing channel set and hitting key contact points in your sales processes can be tough; making sure you’re hitting all of these important points along the way is hard if you’re using manual processes and relying on reminders and task lists. Here’s where adding some marketing automation into your mix is key in today’s marketing and sales landscapes. 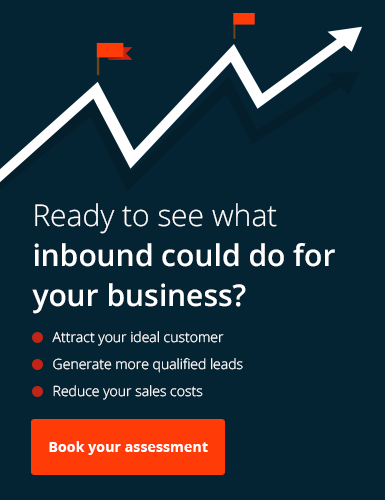 Why automate your marketing and sales? Simple, to make effective use of your time and make sure key parts of your marketing and sales strategies are always hit, no matter what. Being present is important, and so is personally engaging with your customers and leads, but making sure every contact in your database is given the attention they deserve is impossible without employing some automation to help with the heavy lifting. The best use of marketing automation is to help nurture prospects with very personalised, helpful content designed to convert those prospects into customers. How do we use automated marketing and sales? We employ the HubSpot Sales and Marketing Platform at the core of our automation activities to help deliver the best results and make the most of your time.